“I will become an advocate of Tuvan throat-singing”, announced the permanent representative of Azerbaijan to UNESCO, Eleanora Huseinova with rapture at the UNESCO headquarters after the concert. 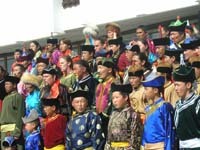 According to her, UNESCO should include Tuvan throat-singing in the list of non-material cultural heritages of humanity. 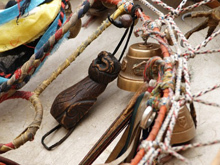 It was announced that a new centralized religious organization – General Buddhist Assembly, is being founded. 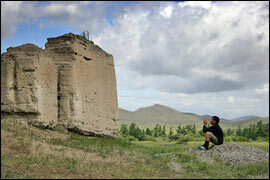 This decision was made at the Founding Assembly, which took place at the Upper Chadan Buddhist complex “Ustuu-Khuree”. Representatives of leading local Buddhist organizations, monks and scholars – the followers of the former Kamby-Lama of the republic, Dzhambel Lodoy, who are in favor of the re-establishment of Kamby-Lama’s Pandido institute in Tuva, which existed during the times of Russian protectorate in Tuva. 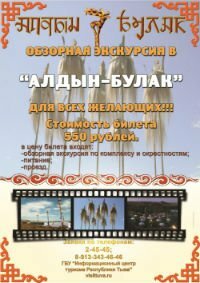 The organizing committee of the international benefit festival of live music and faith, “Ustuu-Khuree”, decided on the dates for the event as July 5 – 8. As “FederalPress” was told by the leader of the committee, the director of the Tuvan State Philharmony Igor Dulush, currently the matter of guests for the festival is being evaluated. Boris Grebenshchikov and the members of “Akvarium” group could be among them. As part of the “Treasures of the North. Northern Civilization – 2010”, fair, which is currently taking place at the All-Russia Expo Center in Moscow, an original photographic project by Mikhail Genis and Anastasia Veshchikova “Evaporating Worlds”, about the life of reindeer herders – Tuvans-Todzhans (Tuva), and Baunt Evenks (Buryatia), will be presented on April 15 – 19. As part of the special project “My Victory”, the “Center of Asia” journal started publishing old photographs from the war years, as well as our compatriots’ memoirs from those brutal years. This is a letter from Aziana Khomushku about her grandfather. Roman Serenmayevich Khunai-ool was my maternal grandfather. He was the first and only person of the Chaa-khol sumon of the 1934-1936 years, who became a teacher in the years of the Great Patriotic War – at the age of 16 years. Head of Tuva, Sholban Kara-ool, offered birthday greetings to the shamanologist who is known in the whole world. On April 16, there will be a celebration in his honor at the National Museum, where he has been working for many decades. 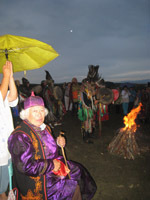 The 1952 Graduate of the Eastern Department of the LGU is not famous only in Tuva. 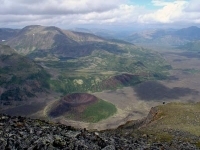 Valley of Volcanoes at the border between Tuva and Buryatia, city Kyzyl and nature preserve “Azas”, are considered by Siberians to be some of the ten noteworthy places in Siberia most attractive to tourists. 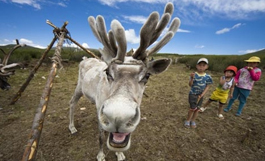 More than 40 thousand Siberians picked them during internet-voting at the Sibnet.ru portal. It is the first time for such internet –voting in Siberia, as the originators of the action pointed out. Mongolian delegation headed by the minister of education, E. Otgonbayar held discussions with China about the questions of cultural heritage and concluded an agreement. 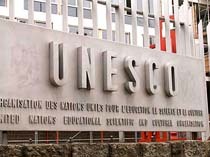 According to the signed document, now, in a case of submitting an application about entering a cultural heritage into the UNESCO list, both sides are expected to discuss it and come to an agreement, using flexibility and showing respect to one another’s spiritual and cultural heritage.